I never thought I’d end up making a career out of playing rugby. Rugby was a big part of my schoolboy days but I’d always thought that, after finishing school, I’d go home to the farm and work with my parents. While I was looking to get a bit of experience elsewhere (so I didn’t always work for my dad! ), I thought I’d just be a country boy for the rest of my life. Then, in the final year of school, I was approached by Queensland to go into the academy there. I rang my parents up and said what had happened and that I’d like to give it a go. They laid out what the possible regime would look like. It was always going to be tough and, a bit like an actor or artist, you’re gonna get paid nothing at the start. Making the decision to focus on rugby definitely felt like a huge risk, but the potential reward was pretty big too. Across all those years with Queensland, the Wallabies and now the Waratahs, I’ve loved it. Still do. I’m still lapping up every moment. Getting out of bed every morning, getting to do an enjoyable job – that’s part of the reason I made the decision. I can wake up with a smile on my face every day. At the end of last year, I found myself almost having to make that first decision all over again. Coming to terms with the fact I wouldn’t be playing for the Reds was very, very tough. I knew I’d be going well outside my comfort zone and basically starting all over again. It took a while but, thanks to the strong people in my life, we talked it out and the result was lots of excitement about what lay ahead. The idea of moving to the New South Wales Waratahs was very tough to get my head around, though. If someone had told me five or six years ago that I’d be lining up for the Tahs, I’d have told them they were nuts. I hadn’t even contemplated it until the week it happened. The potential to just go overseas, get a good payday, and play out the rest of my career somewhere else entirely was certainly there. 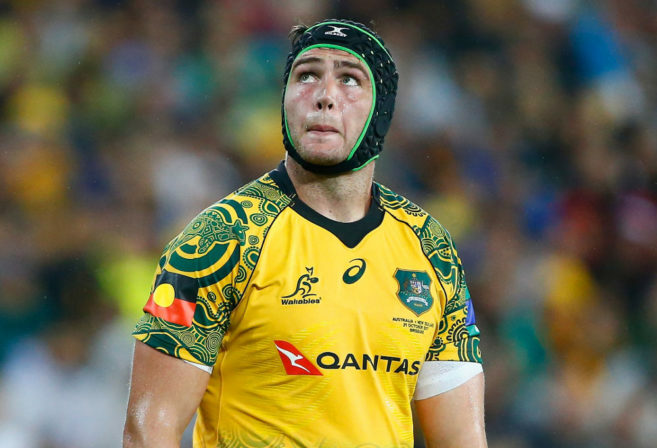 But I had a feeling inside me that I still had more to give to Australian rugby and I didn’t want to leave yet. I might not have been playing my best but I knew I could get back there. It wasn’t a case of being worn out, and the burning aspiration to play for my country hasn’t gone anywhere either. Still, getting my head around whether I could actually play somewhere other than Queensland was tricky. I went to my meeting with the Tahs to see what they were thinking, how they were going about their program. Walking out of that meeting, my decision was made. I was really happy with where the club was heading and the way they saw me. 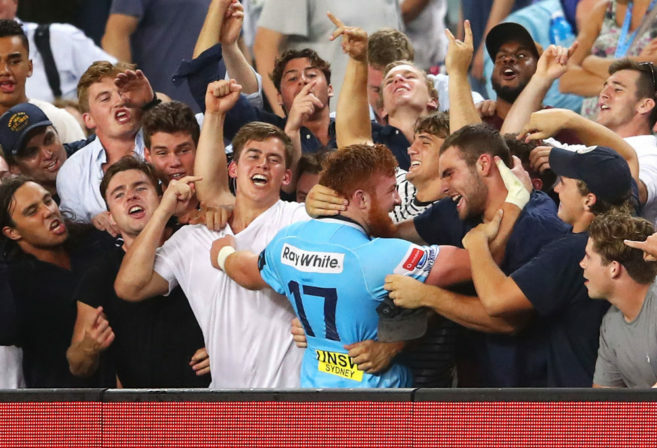 One thing I’ve really loved about the Waratahs is the new home crowd. They’re really good, really passionate. It’s no secret that they’ve been through some tough years, especially in 2017, yet they’re still very supportive – and you feel that out on the field. Looking forward to this week, we’ve got a big game against the Sunwolves on Saturday. They may have only won three games, but they’re getting better and better each round. They’ve started being able to match it with the physical sides and are only getting beaten in the last 20 minutes or so. As we all saw last week, they had a nice win against the Bulls. They play a nice brand of open, attacking rugby and, truth be told, it’s fun playing that style of rugby too. We just have to make sure we stick to our own gameplan and don’t get caught up trying to match it with them too much. They’re fresh off a win, so we’re going to have to be playing our best football to walk away with the points. But we’re coming off a good win against the Rebels, one where we didn’t play our best rugby – there wasn’t a lot of possession and field position early on – but were still able to get a great result thanks to our perseverance and sticking to our roles. So for this weekend, come out to the game, enjoy it, and make some noise as well. It will definitely be an entertaining match. The Waratahs will go up against the Sunwolves this weekend with a chance to cement their place atop the Australian Conference. Be sure to grab a NSW Waratahs home ticket and get down to Allianz Stadium to enjoy all the action.